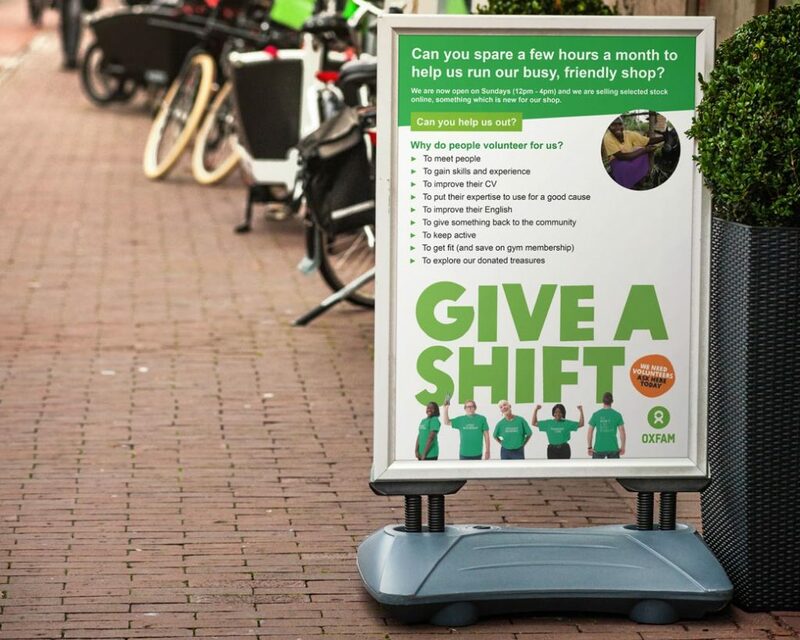 Oxfam is a charity everyone will recognise on their high street. 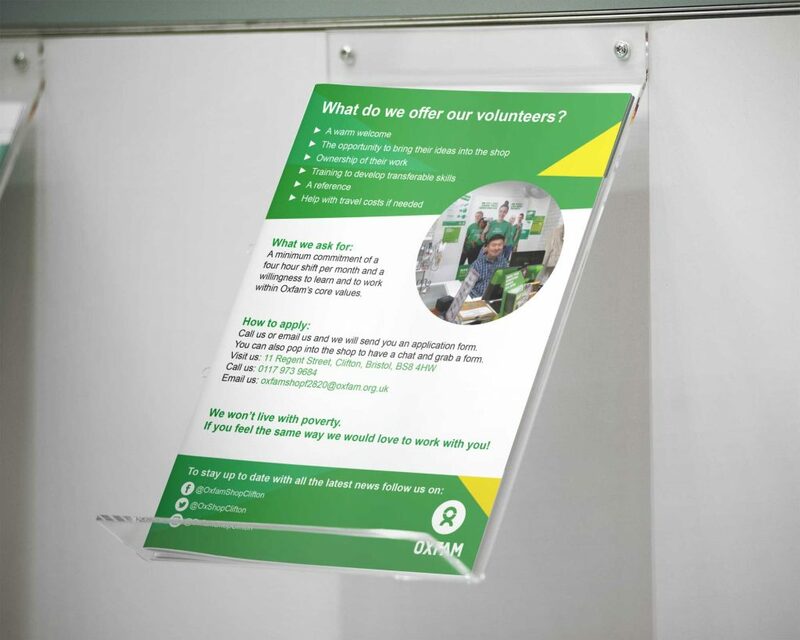 Each store has generic marketing materials however struggle to source/receive localised materials specific to their aims. 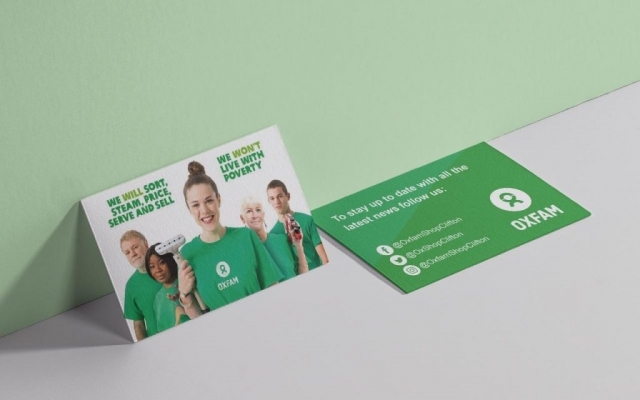 Work is created on an ad hoc basis to help a Bristol Oxfam store with non-generic & location-specific marketing materials. One of the volunteer recruitment flyers was particularly successful, so I created an editable PDF which could be used by other stores to then input their local store’s details.